Attached is a Muster Roll Beat No. 9 (Dale) County Reserves Lt. W.D. Vaughn, Commander. D. T. Ard (# 2 on list) age 16, (David Taylor Ard) future husband of Mary Ann Riley b.1851, daughter of Needham. Daniel Riley (# 24 on list) age 55, b. 1807, son of John Riley, Sr. These men were either too young or too old, or other reasons , for the war, but were listed in the Reserves in Dale Co. 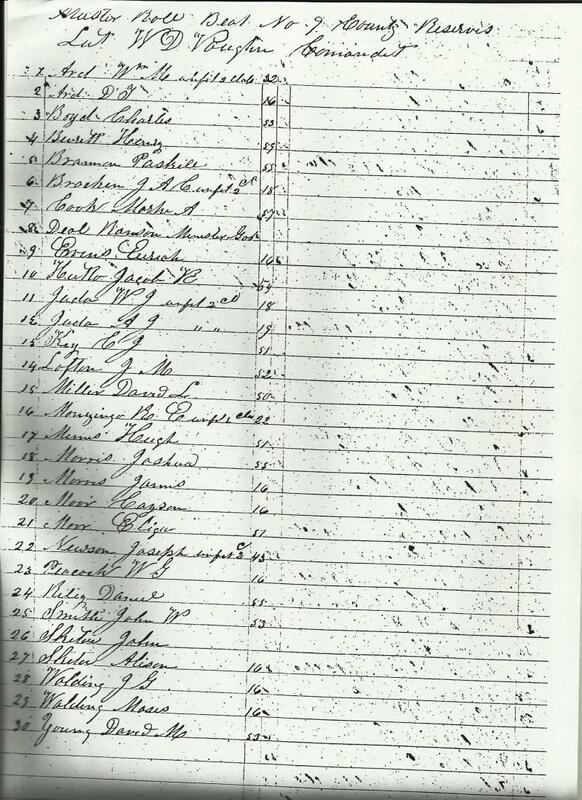 This list would be dated around 1863, judging by the age of these 2 men.